As a patent infringement analysis expert, Legal Advantage strongly recommends examining your patent application in close detail before submitting it. Proofreading is a must because even small errors can have a major impact. 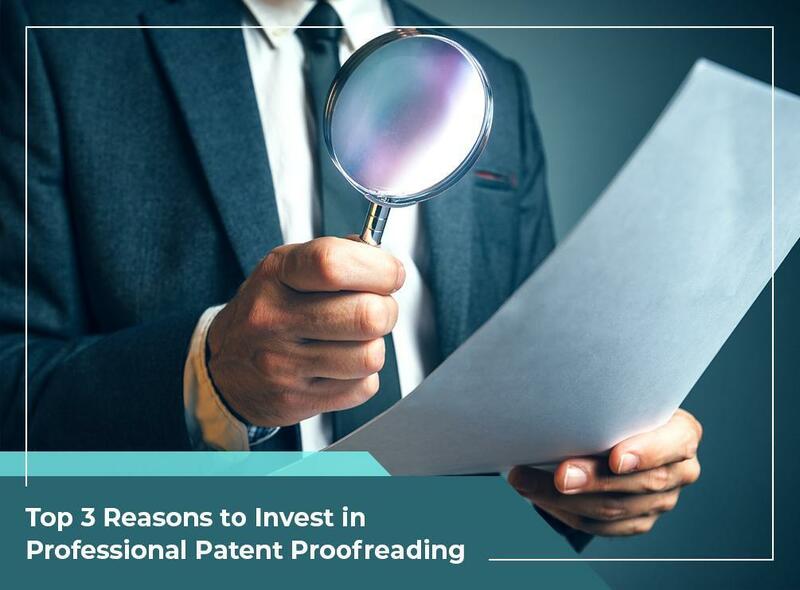 Your patent application must be able to withstand scrutiny and it needs to present a strong case, which is why we suggest consulting with an experienced patent proofreading company like us. As a part of the proofreading project, we verify the content of the patent application that was submitted to the USPTO at the time of filing, with the issued copy of the PTO at the time of grant. We ensure to verify the entire prosecution history to consider all the amendments filed either by the applicant or proposed by the examiner to verify with the issued copy. We prepare a report that details the differences between the authorized copy to issue vs the issued copy. Subsequently, a ‘certificate of correction’ document is prepared with the identified errors that is ready to submit at the PTO. Avoiding Patent Application Rejection: The patent claim defines the outlines of the owner’s legal rights when the patent is granted. It’s important for patent owners to have error-free claims to ensure the process goes smoothly. Our methodical eight-step approach to patent proofreading will analyze your claim structure and identify and correct any mistakes. Avoiding Language-Based Issues: Our legal proofreading services will make sure your patent claim uses high-quality language. This means we will eliminate grammatical mistakes and make sure your claim complies with all prescribed technical specifications. Professional proofreading ensures the language in a patent reflects the meaning desired by the patent applicant. Making Sure There Are No Infringement Issues: Patent proofreading also ensures your patent protects the intended scope and that the patent is enforceable. Before submitting your patent application, you need to make sure the likelihood of anyone claiming patent or copyright infringement has been eliminated. Our professional proofreading service, together with our patent search service, will ensure your patent is strong and error-free. Legal Advantage provides patent landscape analysis, patent proofreading, patent illustrations and more. Our extensive experience in legal support services gives us the ability and confidence to deliver accurate and high-quality results. We serve many areas across the country including New York, NY. Call us at (888) 755-0446 to learn more about patent proofreading.